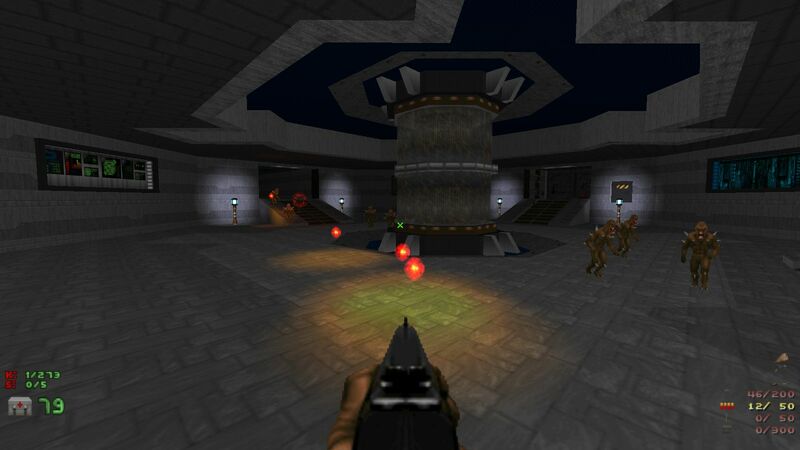 Fear Station: Bravo is a tech-themed map for GZDooM that plays on DooM2 Map01, but the gameplay is more suitable for Map20 or so. It features a new music track, a new, tall sky, non-linear progression, and plenty of 3D constructs. 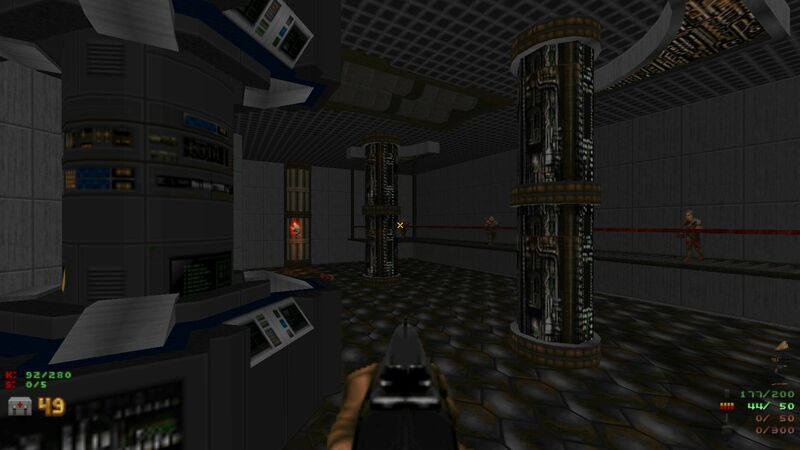 All mapping, and most gameplay, is complete. Preliminary testing is also done. 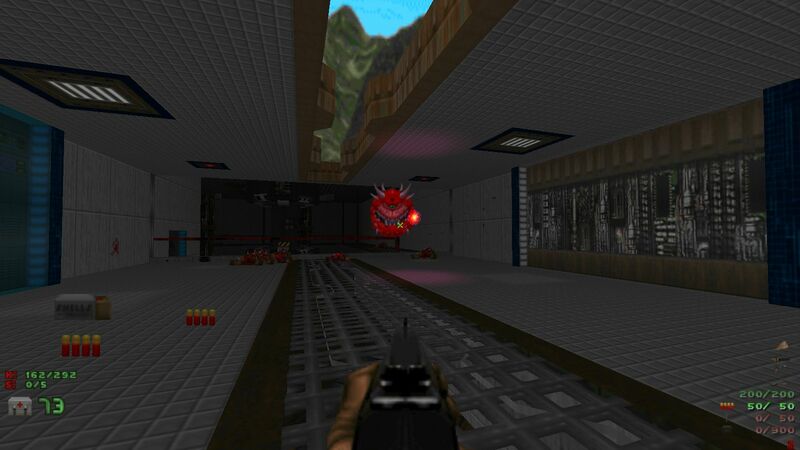 Looks great, pity GZDoom hasn't good model support. sitters wrote: .... pity GZDoom hasn't good model support. 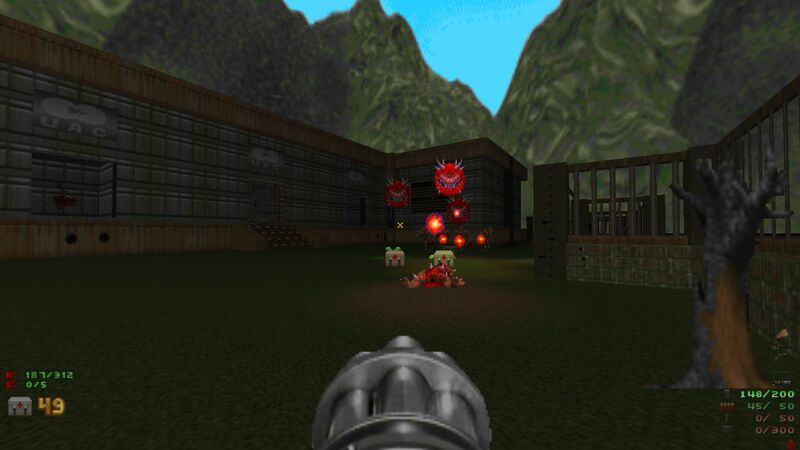 Actually, I've found GZDooM to have pretty decent model support. 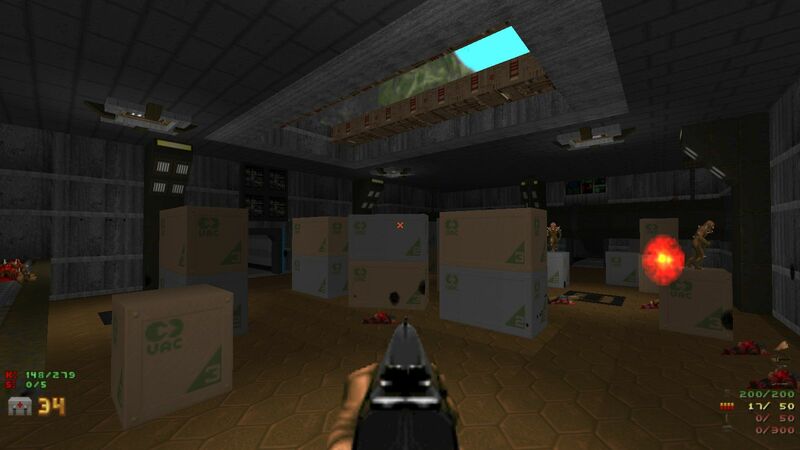 Fear Station: Bravo doesn't use models, but check out Paranoid or Paranoiac for examples of mods with extensive use of models. 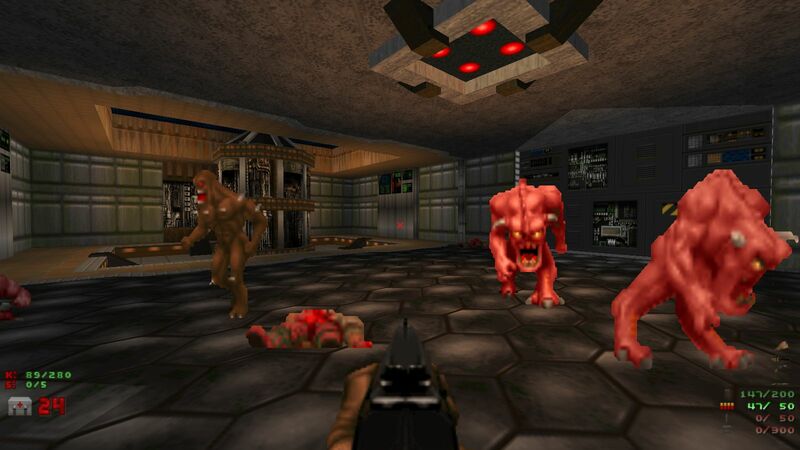 GZDoom's model code is very limited. They're something tacked on as possible replacement for sprites, that's all. So instead of taking full advantage of the possibilities models afford, they share some of the limits of sprites. This is particularly true for things like lighting and translucency. 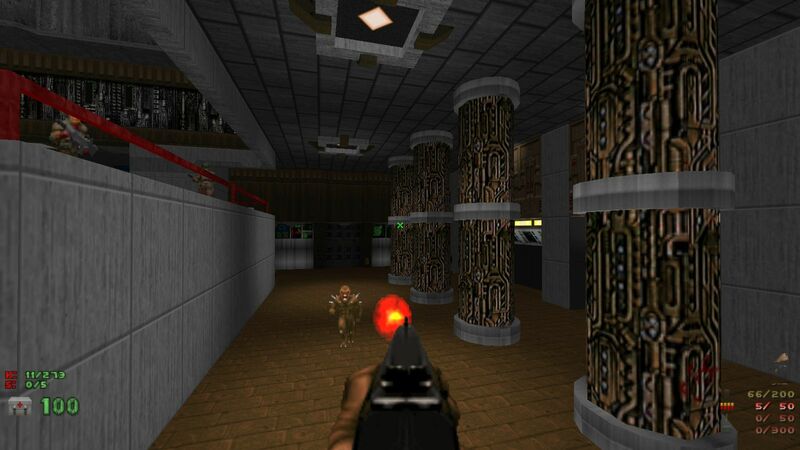 There's also the same rendering issue that they will not get rendered at all if the sector where their origin point is located is not visible, which can result in glitchy-looking "peekaboo" behavior when you have a large model in a tiny sector. There's no doubt that models are better supported in engines such as Doomsday and Risen3D, since they consider models an integral part of the aesthetics they want to offer (doesn't Risen3D load a model pack by default?) rather than just some extra feature some people may want to use some of the time. 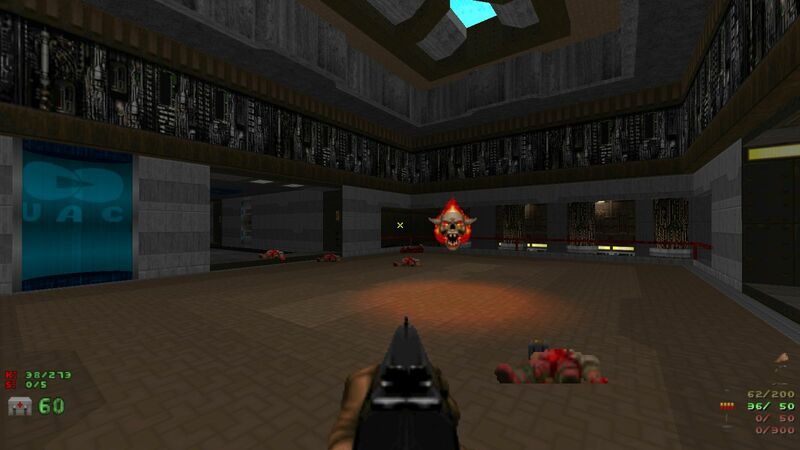 Gez wrote: GZDoom's model code is very limited. They're something tacked on as possible replacement for sprites, that's all. So instead of taking full advantage of the possibilities models afford, they share some of the limits of sprites. This is particularly true for things like lighting and translucency. There's also the same rendering issue that they will not get rendered at all if the sector where their origin point is located is not visible, which can result in glitchy-looking "peekaboo" behavior when you have a large model in a tiny sector. Yes, I agree about lighting, translucency, and the "peekaboo" behavior. In retrospect, I see what Sitters was referring to. Thanks for the clarification.